I’ve made these muffins many times but didn’t post them until now, probably because everyone has their own favourite banana muffin recipe. But I think this one is so good, it’s worth checking out. Since I have bananas in the house most of the time, I’ve made many a muffin to use the overripe ones. But I was usually disappointed – so often, the finished product relied on add-ins like chocolate chips for flavour. It took me a long time, and many false starts, before I found a recipe that I thought was a keeper. The three bananas in the mix provide a ton of flavour; pecans are a nice (but not necessary) addition. And although the original recipe called for a streusel topping, these muffins don’t require any dressing up. 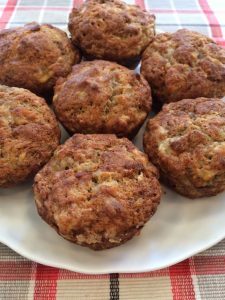 Simple enough for breakfast, delicious enough for dessert, these banana muffins are perfect for any occasion, or no occasion at all. Preheat oven to 400 degrees. Line muffin pan with paper liners (unless you’re using a silicone pan, in which case liners aren’t necessary). Whisk egg, bananas and butter in a large bowl until thoroughly combined. In a separate bowl, stir together flour, sugar, baking powder, baking soda, cinnamon, and salt. Add to banana mixture and stir until just combined. If you’re adding pecans, add them in and stir just to combine. Spoon mixture into muffin pan (makes 10 – 12 muffins, depending on how big the bananas were). Bake for 17 – 20 minutes or until tops are browned and a toothpick inserted in the middle comes out clean. I'm definitely making these muffins! Like you,there is always at least one over-ripe banana that goes into the freezer. Next time I have 3, I will treat the family. Hope you had a marvelous Easter, my friend!!! You can't have too many banana recipes, Beth. These look very delicious and great for any time of the day. My husband would have loved these. He loved anything banana. Yum!! I make banana bread a lot but don't always do muffins – time for a batch! These look amazing I love all with bananas and muffins are delicious ! Hope you had an amazing Easter ! Gorgeous looking muffins, I have some ripe bananas on my counter as we speak, will be trying this recipe, thanks Beth! They look delicious and sounds like a great muffins to bake. Thanks for the recipe! I really need to make muffins. It's been too long. Mmmm, muffins! Can never have too many recipes — love them. These look wonderful. Thanks! 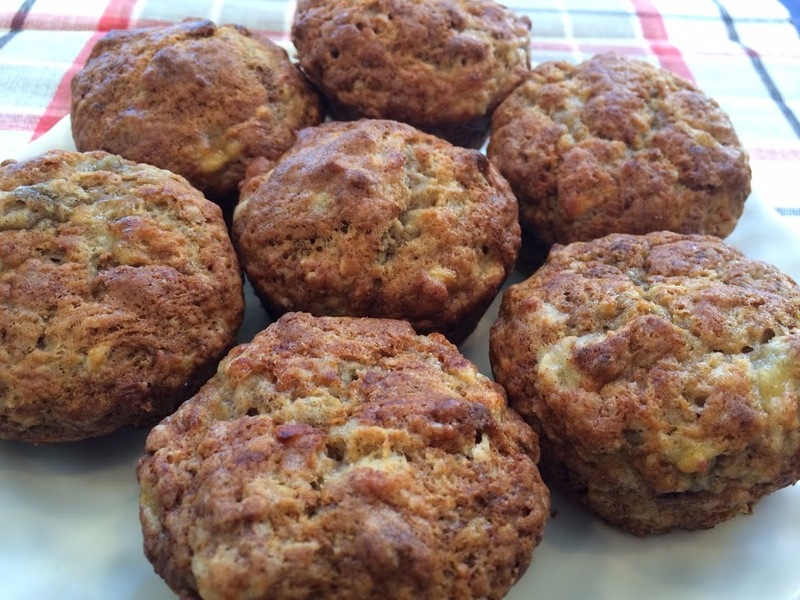 banana muffins can be SO good! i like walnuts in mine, and i think you're absolutely right about streusel being superfluous, especially on these beauts! I have never made banana muffins, though I love bananas and muffins. I must try these. Yum! 🙂 Thanks for sharing!